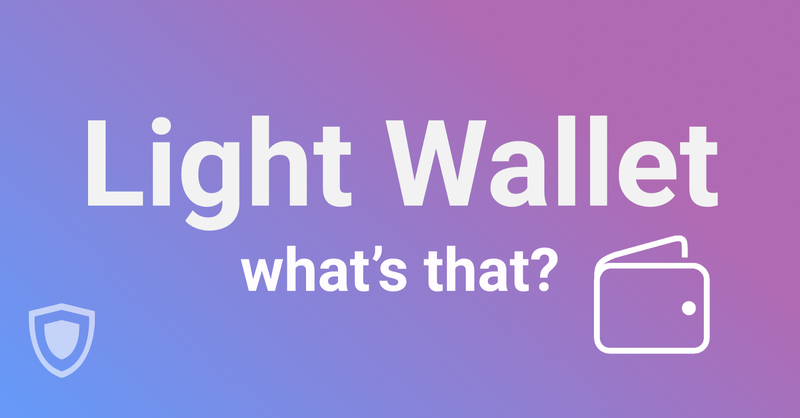 Light wallet — is it a new thing? If you use a cryptocurrency, you most likely need a digital wallet. But which?Has there been any progress in the sphere of crypto-wallets lately? The answer is yes, systems are improving all the time and what was difficult yesterday becomes easily accessible today. While some people still consider online wallets unreliable and prefer old solutions (like immobile full node wallets), there are qualitatively new products that give us new opportunities. Let’s discuss the new generation light wallet and find out how it solves problems of speed, convenience, and — most importantly — security. When faced with the need for such operations as receiving, sending, storing and exchanging cryptocurrencies, you might have already heard of light wallets. Or haven’t you? What about Full Node Wallets? Let’s compare them to see all their distinctive features. To do this, we should turn to the past, when wallets could only be installed on a computer. Initially, wallets were with the node function (they created a peer-to-peer node and synchronized to the blockchain), so that when the user installed the wallet, he/she downloaded the entire blockchain to his/her computer. Did it weigh a lot? Imagine that information about all transactions — all operations happened in the blockchain — is uploaded to your computer. So yes, it required a lot of memory, more than 150 GB. It also took a lot of time to set up — all for the same reasons. The user could also face such an unpleasant surprise: if the wallet was out of use for a week, then, once started, the wallet took rather a long time to update, adding all the newly formed blocks. All the mentioned features (a long time & a lot of memory consumed to install & update the wallet) lead us to conclude that Full Node Wallets are really slow. There was one more significant challenge — no opportunity to switch to the external node, which means no mobile devices. Thus, it harshly limited the modern lifestyle attitude — as nowadays it seems natural to have an access to your personal assets through your mobile phone. While developers were trying to create wallets available on various devices, the obstacle they met was insufficient security. The new generation wallets were all using a third party, which made the system less secure. Actually, if you were using such wallet, your keys didn’t belong to you personally. The structure of the wallets implied setting up the full node on site so it was also a place where the keys were kept. Doubts in safety forced users to lean towards more reliable Full Wallets, sacrificing their time and computers’ free space. Does it turn out that you have to choose between convenience and reliability? It used to be so before a light wallet library appeared. With the arrival of new Light wallets, like Guarda Wallet, the situation has changed dramatically: it takes a minimum of space, allows you to use it through mobile devices, and provides easy access. At the same time, security is now put in the first place — there is no more third party in the operations. 1) The keys are kept by the users only. You’re the only one who has access to your private key. This means more responsibility, but also complete security. Guarda Wallet doesn’t store any personal data — it just allows to work with the blockchains of featured coins and tokens directly, without worrying about private data security. 2) What makes a Light Wallet light? There is no need for downloading the entire blockchain. Light Wallets connect to a server that contains a synchronized node. That’s why they enable users to get to work immediately. 3) Hence, it is possible to install Guarda Wallet on various devices. Information about your transactions will be available to you at any time and in any place — Internet access is all that’s needed. Comparing Full Node Wallets and Light Wallets, it is necessary to take into account that there are some differences in light wallets systems. Some wallets combine features of Full Node and Light wallets. As for Guarda — the interface is built on an innovative technology so that it has the best features of a new generation Light Wallet: it is safe, fast, and accessible. Accessibility means a lot to us, as we believe that blockchain technologies should be available to everyone, no matter how powerful is the device they own. Guarda is a company delivering truly decentralized, custody free products with omnichannel experience.